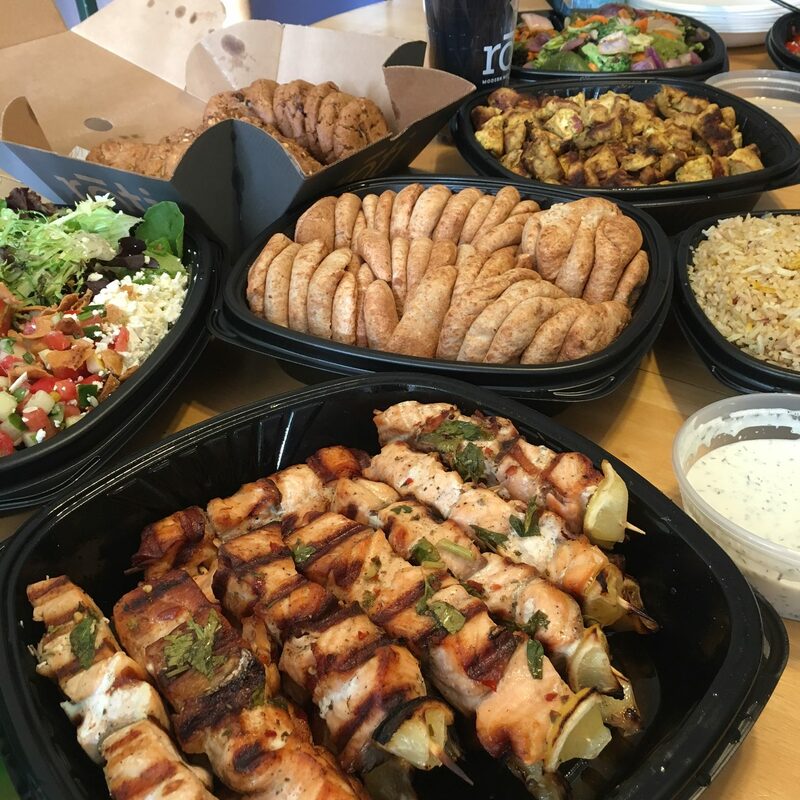 Last week, we celebrated my husband’s birthday with a delicious assortment of food from Roti Modern Mediterranean. All food was provided by Roti, but all thoughts and opinions are our own. I don’t know the last time we’ve had such an amazing birthday dinner. In fact, I think Roti might need to be our new birthday dinner tradition. Everyone in the family was raving about the flavors. 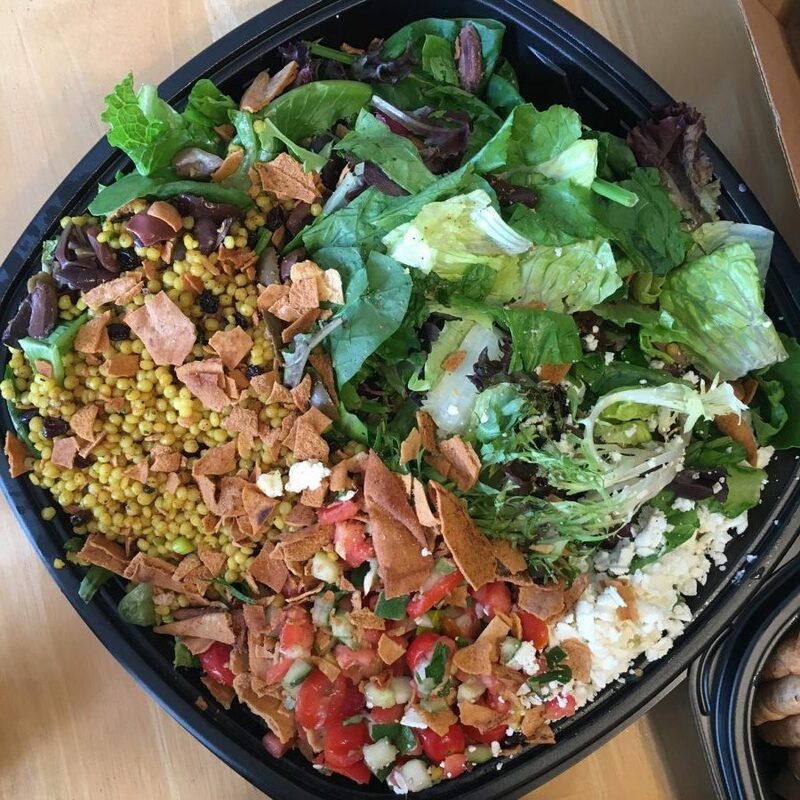 Of course, it doesn’t hurt that we LOVE Mediterranean foods. 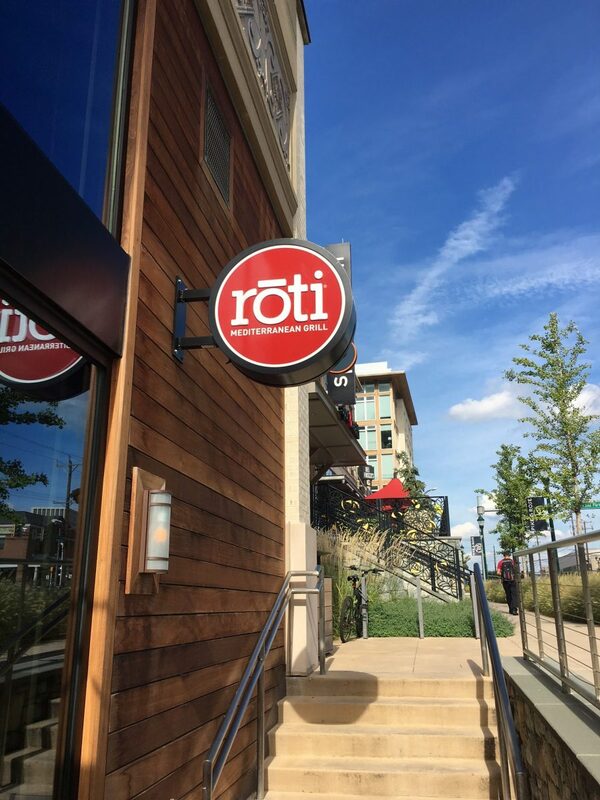 I stopped in the local Roti Modern Mediterranean in Bethesda, Maryland to pick up our food and instantly fell in love with the restaurant, even before I had taken a bite. Roti has a relaxed, casual atmosphere that would be perfect for lunch or a date night dinner. 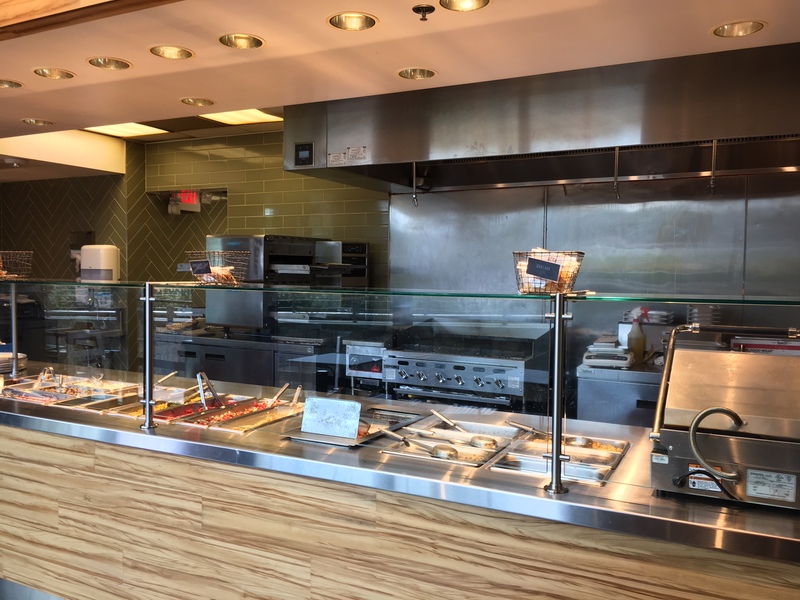 I was able to quickly find a dozen things on the menu that I wanted to try (and lucky for us, we did get to try about a dozen things! YUM). 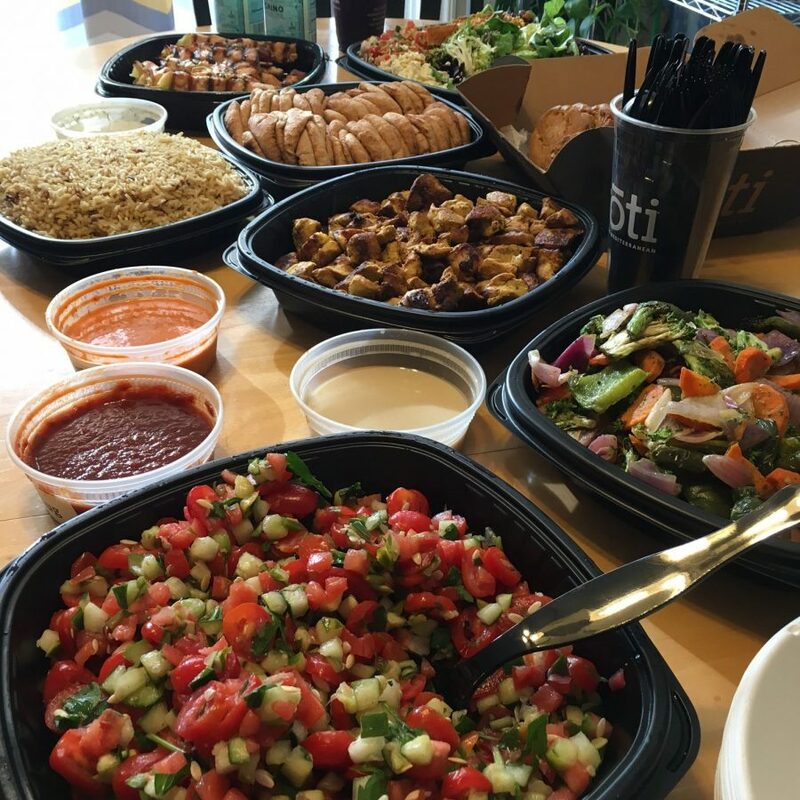 Roti does catering, too! 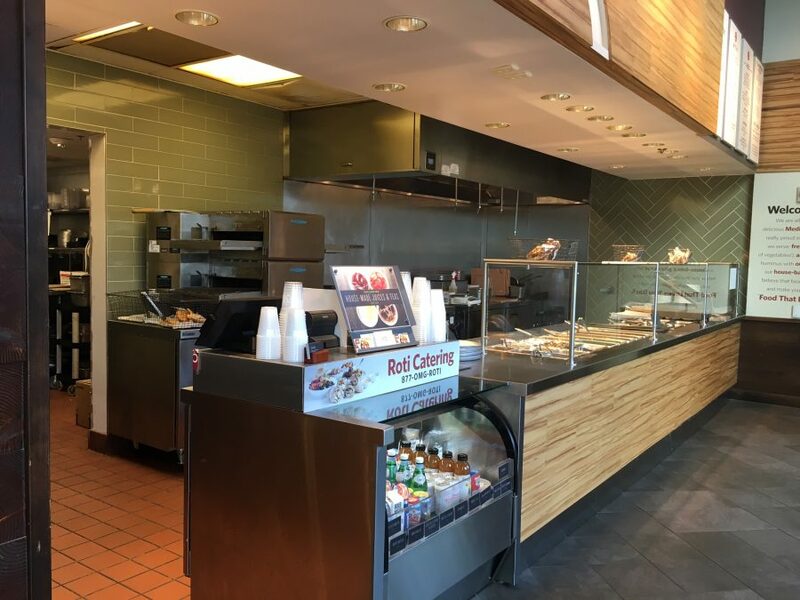 You can place your order ahead of time and either pick up your food from the restaurant or have your food delivered to your home or event location. 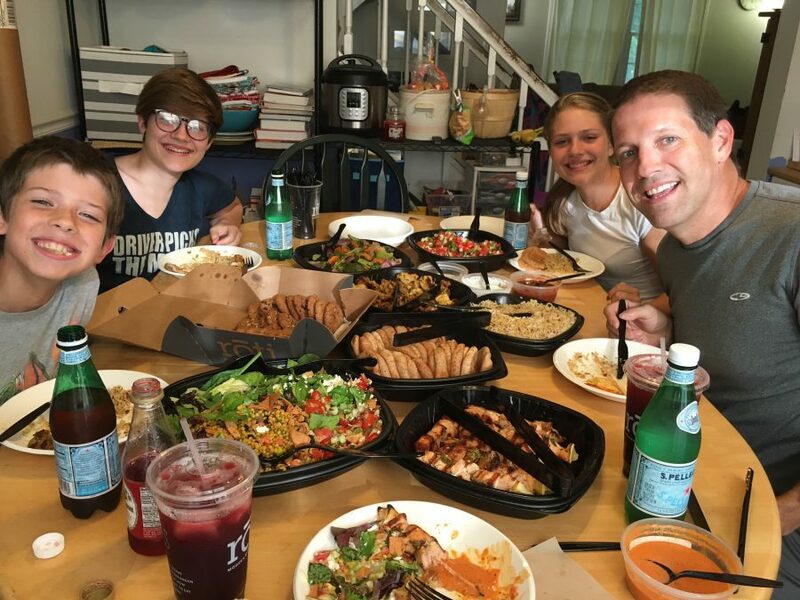 Roti might just be our new favorite place for catering (I wish we had known about Roti when we were planning our daughter’s local post-wedding get together!). 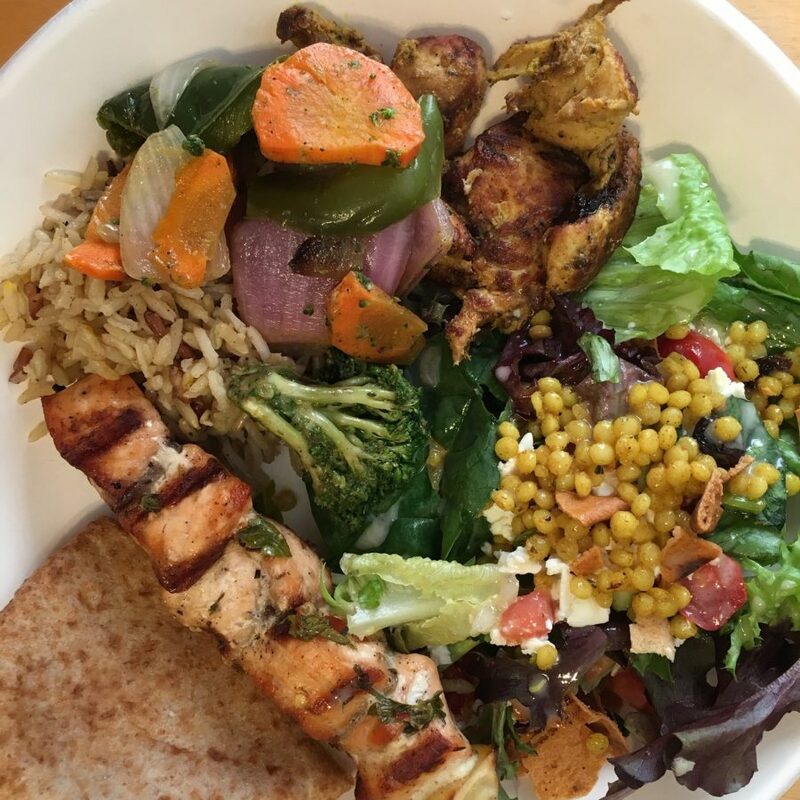 The bold flavors and the freshness of everything we ate were enough to hook me, but I love the mission of Roti so much that I wanted to share what they had to say about the foods that they serve. I could tell that everything we ate from Roti was fresh and perfectly seasoned. But beyond the wonderful flavors, Roti goes a step further by serving only farm-fresh, antibiotic-free chicken from Pennsylvania, salmon from the Gulf of Maine (from sea to the table in less than a week), 100% grass-fed beef, non-GMO blend of basmati and wild rice from California, whole wheat, handmade pitas (with gluten free pita bread also available), and more. I could go on and on about how good the food tasted (the family particularly loved the Chicken Roti and the rice. Oh, and the sauces! 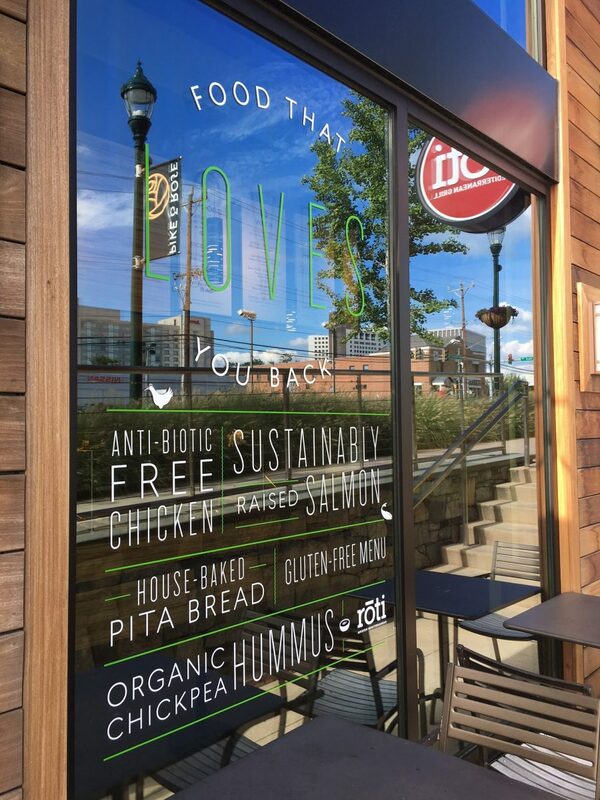 We couldn’t get enough of the Roti vinaigrette and the dill yogurt and cucumber sauce). 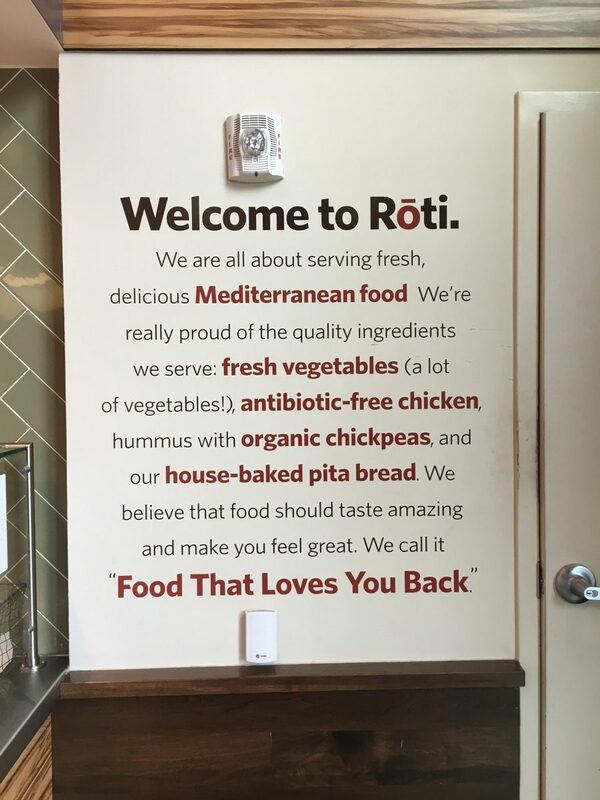 Or I could go on and on about Roti’s top notch “food that loves you back.” But I think you’ll get the best experience by trying Roti Modern Mediterranean for yourself. Check the restaurant locator to find the Roti nearest you! Wow these dishes look so delicious! 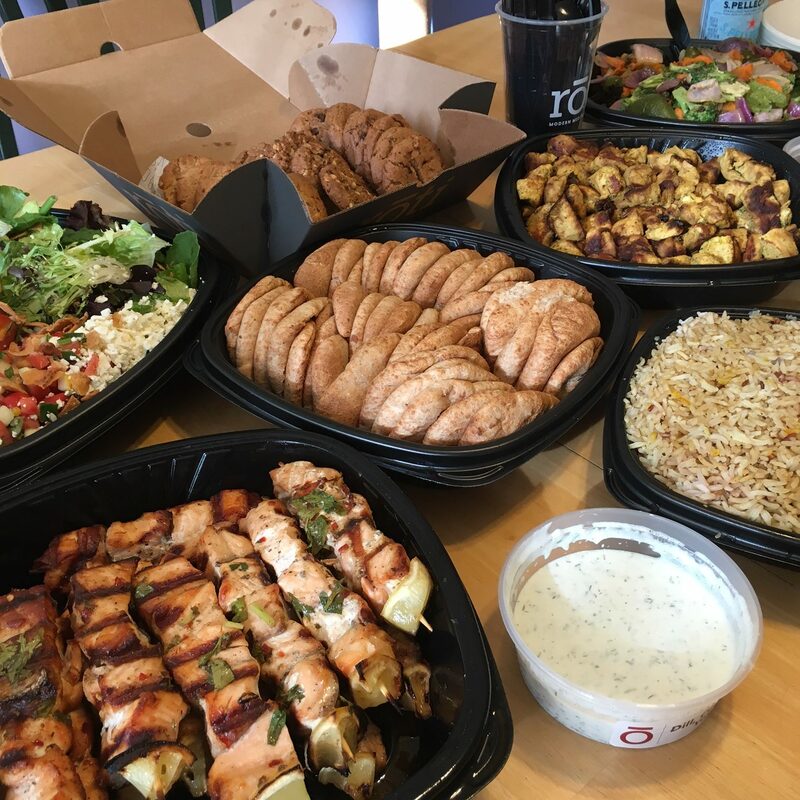 What a bunch of yummy options to choose from!